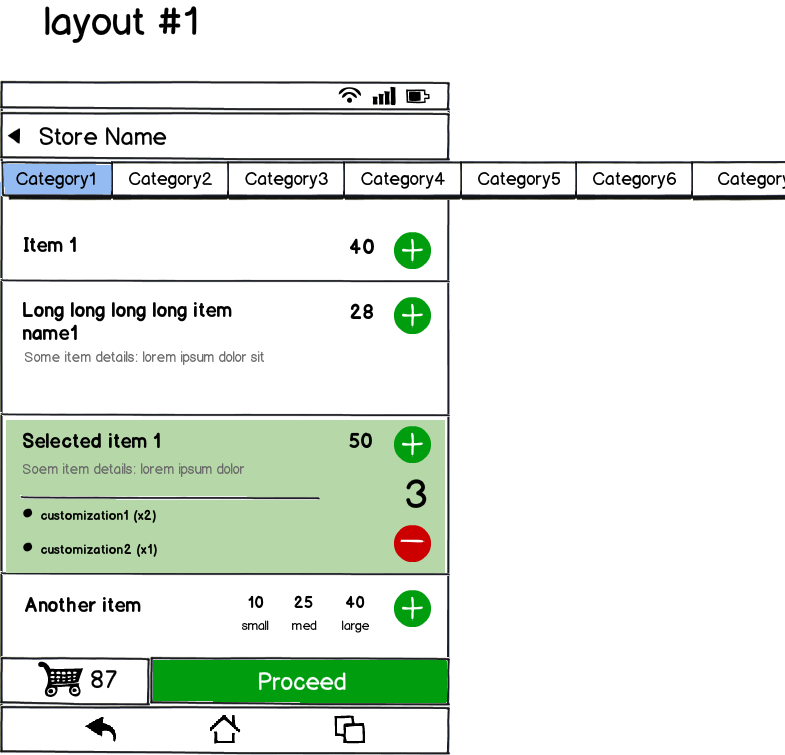 i am designing an application for android. an important part of it is designing a page to allow users to select stuff (i.e add to cart) from a categorized list of items. the IA is such that most categories have between 5-25 items in them. However, there are a few categories which have a huge list of items and have hence been divided into sub-categories, each consisting of 10-20 items each. also the categories are not consistent throughout the app but depend a lot on the store. Its good that you've done user research - and an interesting finding that some of your audience are unfamiliar with the scrolling tabs. Depending on the type of user research you are doing, it would be useful to test this new approach against the approaches you have already identified to determine the best one. 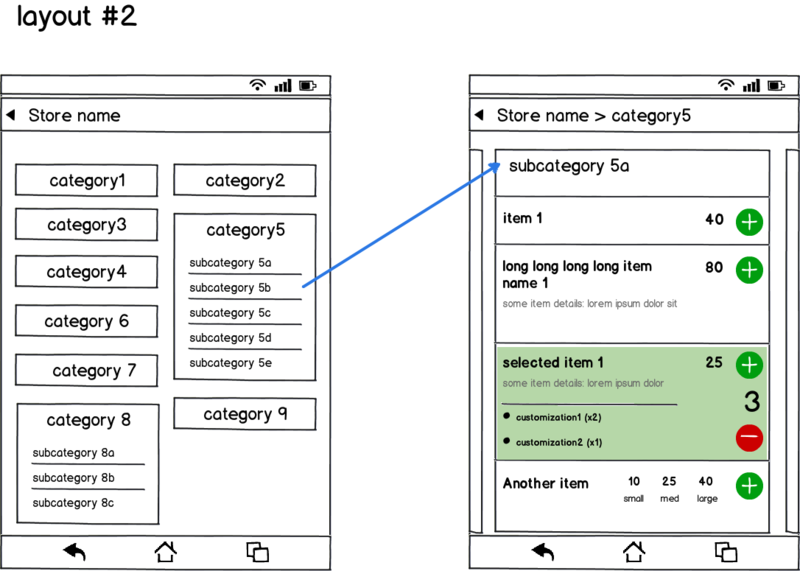 Split your users into three groups of equal size, and give each group a simple task to do - ie 'Order 4 products from category x' while showing each group a different version of the interface. Hopefully, this will identify which is the version that is easiest to use for your audience. The main advantage here is discoverability of the all categories. The real-world analogy here is a book and its table of contents. ToC is placed in the beginning of a book to allow reader generate overall mental representation of the content and make conscious choice. Not the answer you're looking for? Browse other questions tagged mobile navigation android information-architecture or ask your own question.